This morning a manned airplane landed in the CTC runway for the first time. Xavier Fernández, a fellow pilot and close friend, landed his Sonex airplane in the CTC runway. 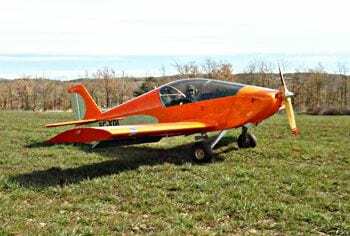 The Sonex is a two place experimental aircraft powered by a six cylinder 120 hp Jabiru engine. With a maximum take off weight of 520 kg and a cruise speed of 225 km/h, the landing of this manned airplane demonstrates that the CTC runway is long enough to safely operate large UAVs.